Photo via The Tampa Bay Times. 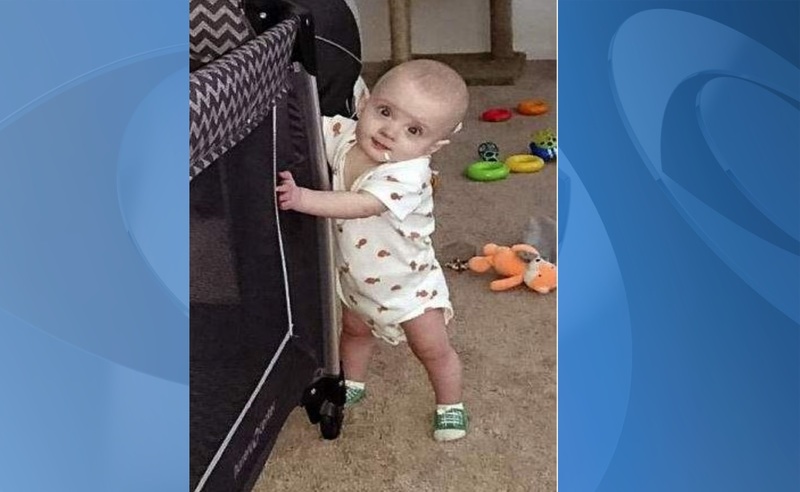 TAMPA, Fla. (AP) – Florida detectives have launched a criminal investigation into the death of a 17-month-old boy in foster care who was about to be placed with adoptive parents. The Tampa Bay Times reported Saturday (http://bit.ly/2gWwLj5) that Aedyn Agminalis died last Sunday after being taken off life support. The Hillsborough County Sheriff’s Office has opened a criminal investigation. The boy suffered from bleeding on the brain, cardiac arrest and acute respiratory failure. The state Department of Children and Families is launching its own inquiry. “The loss of this child is absolutely devastating,” DCF Secretary Mike Carroll told the newspaper in an email. Aedyn’s birth parents had signed adoption papers last month. He was schedule to be placed with Colleen Kochanek and Stephanie Norris, a 10-year married couple in North Carolina. A paperwork delay and the holidays had pushed the final court hearing until next month. Kochanek, an attorney, and Norris, a civil engineer, adopted a 4-year-old girl at birth. To speed up Aedyn’s adoption, they had paid to have an FBI report expedited but paperwork proving they are not listed on a child abuse registry didn’t arrive until Dec. 5, three days before Aedyn was hospitalized. Artha Healton, the boy’s birth mother, told the paper that she and her husband, Brynn Agminalis, had decided to put Aedyn up for adoption after DCF removed him from their home in August after a tip was called into a child abuse hotline. The investigator was concerned about his nutrition and found feces on the floor. Healton said the boy didn’t like to wear his diaper and she had planned to steam-clean the carpet that night. The couple, both freelance artists, decided they weren’t ready to be parents and agreed to put Aedyn up for adoption. “We were struggling and stressed so badly that it was affecting our health,” she told the paper. She said the hospital called her early Dec. 8 and she and her husband rushed to the baby’s side. She said the foster mother, whom she doesn’t know, was also there. “She didn’t speak to me or hold eye contact,” Healton said.